Terry Tate, Office Linebacker in living form. Can I make a suggestion? Don't throw pencils at this guy! Washington State cut ties yesterday with their top quarterback prospect. Calvin Schmidtke was freed from his letter of intent because it appears that he can't stay out of trouble with the authorities. He has been cited 11 times, in 18 months, for various violations, the most serious of which involve alcohol and drug trafficking. He was so close to fooling the coaches on the Palouse, yet in the end he couldn't get that D-1 scholy he coveted so. 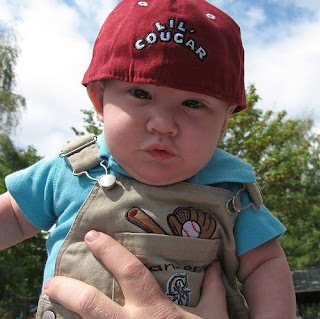 You could say that this kid has already shown some of the qualities Cougars are famous for. He "Coug'd it." "Coug' it" is a saying that has become apart of Pacific Northwest resident's lexicon. Based on years and years of the Cougar football team's uncanny ability to get off to a great start only to see it evaporate in a cloud of losses in November. The phenomena has transcended the arena of sports and is now used to describe blowing for sure things at the last minute. You might define it as "snatching defeat from the almost certain clutches of victory." Find a way to use it this weekend and impress your friends of your knowledge of other cultures. Here are some examples to get you started. Can't close the deal on a great date - "Coug'd it." Poor interview causes you to loss out on a job offer that was all but a foregone conclusion - "You really Coug'd that one!" Lose a game in the last out of the ninth inning - "We Coug'd that game!" Didn't get that big sale even though you nailed the presentation - "Coug'd it!" Fail a final exam that you only needed a C in to get an A in the class - "You really Coug'd that one away!" Lost out on a college scholarship that you had already signed the letter of intent for - "Dude, I hope you didn't Coug' your life away." Athlon 2008 College Football Preview hits the shelves this weekend and in The College Football Guys continued quest to find out if those shinny preseason magazines are worth the trees they destroy we went back in time again to bring you Athlon's 2007 Preseason Top 25 vs. (Final AP pole). They either got 15 right or 10 wrong. What kind of person are you? Only 92 days left until the start of COLLEGE FOOTBALL! Just in case you can't wait and need a fix, this one is for you! I know that this news came out last week, but a couple of The College Football Guys were too busy this weekend booking our 2009 trip to Seattle to comment about this great event on the blog, so we are going to talk about it today. The administration at LSU must have been reading our blog last week when it was mentioned that conferences should step up and schedule real BCS schools in their out of conference schedule. The University of Washington and LSU announced that they will play a home-and-home series beginning Sept. 6, 2009 in Seattle and completing in Baton Rouge in 2012. Suggestion to LSU fans heading to the Pacific Northwest, pack a yellow shirt and get ready to enjoy the water and the view! The 2008 college football preview magazines are starting to hit shelves at a store near you! Of coarse this college football guy had to be the first person in town to buy Lindy's College Football 2008 Preview. While thumbing through the glorious, full color, glossy pages and reading the predictions of the upcoming season it made me think, just how accurate are these magazines? Ohio State at Michigan - If Wolverines don't win, it's gonna feel like Chad Henne, Mike Hart and Jake Long came back for 'nuthin. We wish...that Navy, doing so well under coach Paul Johnson, could finally end a 43-game losing streak to Notre Dame that dates to the Roger Staubach era. Why is the ACC ranked No. 2 (best conference)? What the league has is amazing depth that rivals or surpasses the SEC. Kansas - Sophomore QB Todd Reesing will continue to compete for the starting spot, but likely will be a backup. Oregon at Michigan - Trying to slow down RB Jonathan Stewart will prepare UM for Big Ten. Oklahoma at Colorado - Couldn't CU officials have picked an easier homecoming foe? Michigan brought in a solid class that included star playmaker Ryan Mallett at quarterback. Ohio State at Washington - Huskies' schedule still reads like the school is a powerhouse. And the favorite to win the 2007 Big 12 Conference championship is....Nebraska? That far-fetched prediction is brought to you by the Committee to Save the Big 12 North. Notre Dame at UCLA - Bruins might want to shelve the prevent defense this time around. Louisville - The defense should be fine, but if the Cardinals have to win in a shootout, so be it. Just like last season, Louisville should be in the hunt for the national title. Stanford at USC - Only big in seeing how much Carroll runs it up on Harbaugh. South Florida at Auburn - QB Matt Grothe and Bulls will be thinking upset. Appalachian State - Dare we say "dynasty?" ASU reloads to take a shot at FCS' first three-peat. BTW - If some dimwitted slime ball starts winning a lot in Vegas and turns Hill Valley into a gang infested slum it means Biff stole my 2008 preview while I was back in 2007. The oldest football coach in the free world, Joe Paterno, said Thursday that he doesn't understand why the champion of college football isn't decided on the field with a playoff system. The most surprising revelation in this story is that Paterno, now 81, says he will probably only be coaching for 10-15 more years. Sounds like Penn State needs to start looking for a replacement pretty soon! Maybe they ought to find a way to get their degree back from this guy. Are they talking about your school...? I am not even sure if this article needs made fun of. I think it might just take care of itself. Maybe Mike Leach should start wearing an eye patch on the sideline... Does Johnny Depp receive free field passes to the Red Raiders' home games? WVU basketball coach Bob Huggins reportedly tripped on the tarmac checking his messages as he arrived in Charlotte. Reports say that he is fine and that he just needs to pay more attention to putting one foot in front of the other, however it appears that he already has an endorsement offer. Isn't it GREAT that the NCAA expanded the number of games allowed from eleven to twelve? This extra game gives teams the opportunity to play everyone in conference, opens the door for marque cross country/conference match ups, and adds at least one more week to a great college football season! However news this week from the ACC's spring meetings validates what is actually happening with this 12th game. The ACC coaches and AD's decided to nix a 9th conference game stating that it would hurt teams chances of getting bowl games. REALLY? They have opted instead to keep the ability to schedule 4 patsies and guarantee themselves a bowl bid. At least they are honest about it. They aren't hiding behind the pretense of helping the "sisters of the poor" like Ohio State claims they are doing for Youngstown State. This action goes against everything that is right with sports and competition in general. You should ALWAYS want to play someone that is better if not at least the same level of competition. If you think that the BCS system stinks now wait until you have BCS conference schools that are undefeated against such schedule busters as the Citadel and South Carolina State (both schools included on Clemson's schedule this year, a program many predict to be this year's ACC champ). Allowing this lack of competition to happen waters down the NCAA product and washes away any relevance of a regular season. This is happening without even installing a playoff! This practice cannot be allowed to continue! It is only so much fun to beat up on your little sister before it becomes boring and you look like a pathetic loser. Can you imagine the New England Patriots scheduling the University of Massachusetts because they want to help out the in state program? 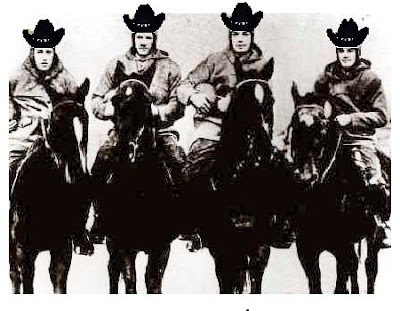 Or the Dallas Cowboys playing SMU? It doesn't even make sense! For all the bad mouthing that the Pac Ten gets for being soft, or not releasing the Rose Bowl from their grips, check this out. The Pac Ten will play every single team in their conference this year like it has since the NCAA added the 12th game. Also the conference has only scheduled TWO Division I-AA SCHOOLS for 2008! They also open the year with TWO conference games, Tennessee and @Virginia! Now that's excitement from the get go! Conference programs will be playing Oklahoma, Ohio State, @Penn State, Georgia, Michigan State, Oklahoma State, Notre Dame three times, BYU twice, and @Maryland. If you want a model from which to determine a competitive, every game matters schedule, look NO further then the Pacific Ten Conference. "The Conference of Champions!" 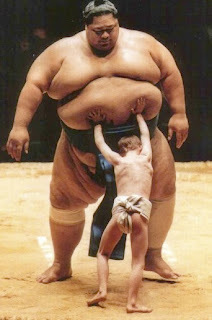 Note to BCS conferences: GROW A PAIR and quit beating up your sister! You know, they will put you in jail eventually! "The Yanks are Coming! The Yanks are Coming!" It seems that the Republic is being invaded for the first time since Civil War days! Notre Dame has announced that they will be playing a "home" game in the New Texas Stadium in 2013 against Arizona State University. This combined with a "home" game scheduled for 2009 vs. Washington State in San Antonio has signaled that Notre Dame either believes they are now competing with the Dallas Cowboys as America's Team, or they feel Notre Dame Stadium is not good enough anymore. One question this college football guy has: "Is Mercedes developing a pope-mobile for Touchdown Jesus?" Reminds me of an old Texas saying, Notre Dame should be "As welcome as an outhouse breeze." Seems hard times in Ann Harbor have brought more than just Buckeyes making fun of the Wolverines. 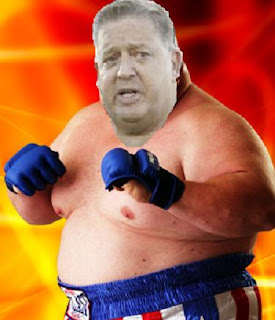 Charlie Weis is getting bigger than his britches lately as he said Michigan "can go to Hell" at an alumni event before this year's spring game. He is speaking like someone who personally knows how hot it is in hell. These remarks are teamed with his recent comment that he "could get hoodlums and thugs and win tomorrow." Big talk for back-to-back beat downs from the men in "Maize in Blue." Guess Chuck thinks 47-21 and 38-0 were close enough contests to warrant big talk. I don't think he watches Patriots games anymore. Coach Butterbean, Lets just see if we can beat San Diego State, Sept. 6th. Video gives you the speech about 40 seconds in. Don't worry about gaging on the rest of the Irish Love. As many of you know by now the defending BCS Champion LSU Tigers dismissed starting QB Ryan Perrilloux (Pear-a-lew, not Perr-ill-lux for those of you residing outside of France, Southern Louisiana, and the Great Province of Quebec) from the team last week in what has been reported as a failed drug test. This was the last straw for Coach Les Miles and now the program is left with Andrew Hatch, a Nevada Mormon who also happens to be a Harvard transfer, to do the gun slinging. Gainsville cheers far, far, far away. Means I'm leaving my championship behind. Saturday's gone with the wind. Our QB's gone with a toak. And I don't know where we're going. We have been left with a Mormon. But I'm leaving my quarterback at Southern. See, I'm watching War Eagle fly away. But somehow "Geaux Tiger" will carry on. The second coming of the messiah has arrived on earth. This is proof that Tim Tebow really is the Christ Child and living and dwelling amongst his people with his healing touch. It is amazing what one man will do in a bid to become a back-to-back Heisman trophy winner. I believe that after this year they are renaming the award in his honor. 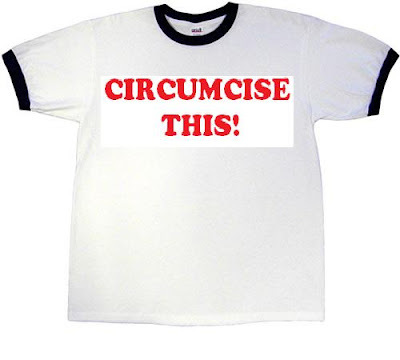 Note to McFadden, instead of makin' babies the last two years, maybe you should have been circumcising them. Joe Montana may have been "Christ in Cleats" but that was merely a metaphor. Tebow is truly the Son of God. The only question I have is how does one put on a helmet over a halo so large? The College Football Guys have a new podcast up for this spring! If you haven't heard us, now is the time to check us out! If you are a regular listener then enjoy! Here is the link to the festivities! Let us know what you think! Hope you enjoy this Kentucky "filly" on Derby Day! Crack open the Bourbon today and have a mint julep on us! Oh and take Colonel John all the way. Here is a story out of my home town that has hit the national headlines. It seems there are indeed nice people in Central Washington. As predicted in an earlier post the BCS commissioners got together this week and said NO to a college football playoff, but YES to two more exciting bowl games! Now 68 teams will be able to participate in bowl games this year! Lets do some math here. There are 119 NCAA teams. 68 divided by 119...Carry the one...Add the two...57% of college football teams are going to bowl games next year! 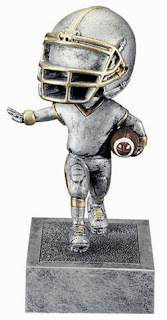 Remember when you played little league and at the end of the season EVERYONE got a participation trophy? Congrats NCAA you are getting really close to copying this format! I was just thinking the other day about how unfair it was that Louisville (6-6), Iowa (6-6), Northwestern (6-6), Louisiana-Monroe(6-6), and Ohio (6-6) didn't make a bowl game last year. Guess what folks they will be in this year! Fantastic! All in all, Navy really got the short end of the stick. If the Midshipmen become bowl eligible they now trade San Diego and the San Diego Credit Union/Visitors Bureau/Sea World Poinsettia Bowl for, winter in DC, playing in a BASEBALL stadium! HORRIBLE! The numbers are out! According to a University of Colorado survey about attendance numbers for this year's Spring Game scrimmages. It seems that there were over 1.3 million people that attended 96 games throughout the country. 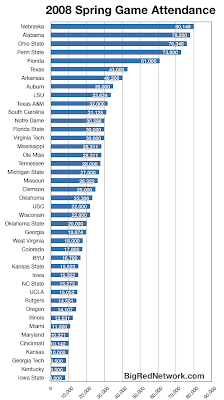 What The College Football Guys think is the most interesting about these numbers is the amount of teams that actually charge to see their teams practice. While the list isn't long it includes some surprising members. Some programs that think they are special enough to charge for a scrimmage: Ole Miss ($10), Boise State ($7), East Carolina ($5), Miss. State ($5), Southern Miss ($5-10), K-State ($5), Rutgers ($5), Marshall ($5). In all fairness some of these schools need to squeeze every penning they can get out of fans to keep up with the Jones. One thing we have learned is that Mississippians either have NOTHING better to do, or they have a large disposable income. Mississippi - "Come Feel Good About Your State!" Here is the link of attendance numbers compiled by the University of Colorado. Here is the break down brought to us by http://www.bigrednetwork.com/. 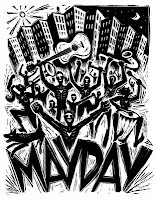 Today is celebrated in many ways throughout the world, but at Washington College in Chestertown, MD, May Day takes on a whole new meaning. Students, faculty and staff free themselves of the "devil's cloth" and frolic throughout campus, every year on May 1st for celebration of life and nature. This sounds great when day dreaming of hot co-eds skipping through campus clothed in nothing but what the good Lord gave them. Take a moment and close your eyes and imagine the negatives. Can you visualize that stoner Philosophy teacher you had freshman year? You know, the one you thought was Donald Sutherland from Animal House? Now picture him strolling the quad al natural. Buzz kill? Have a great naked day!